Ron Goettler, the James N. Doyle, Sr. Professor of Entrepreneurship, became the senior associate dean for faculty and research, succeeding Rajiv Dewan, starting in July 2014. Goettler joined the Simon Business School in 2012 and immediately provided important leadership in our Entrepreneurship program. His research and teaching cover quantitative marketing, economics, entrepreneurship, and finance. Goettler received his PhD from Yale University in 1999 and was on the faculty at Carnegie Mellon University and the University of Chicago. Goettler is well known for his methodical approach to problems and his willingness to contribute his time and intellect to help both students and the institution move forward. 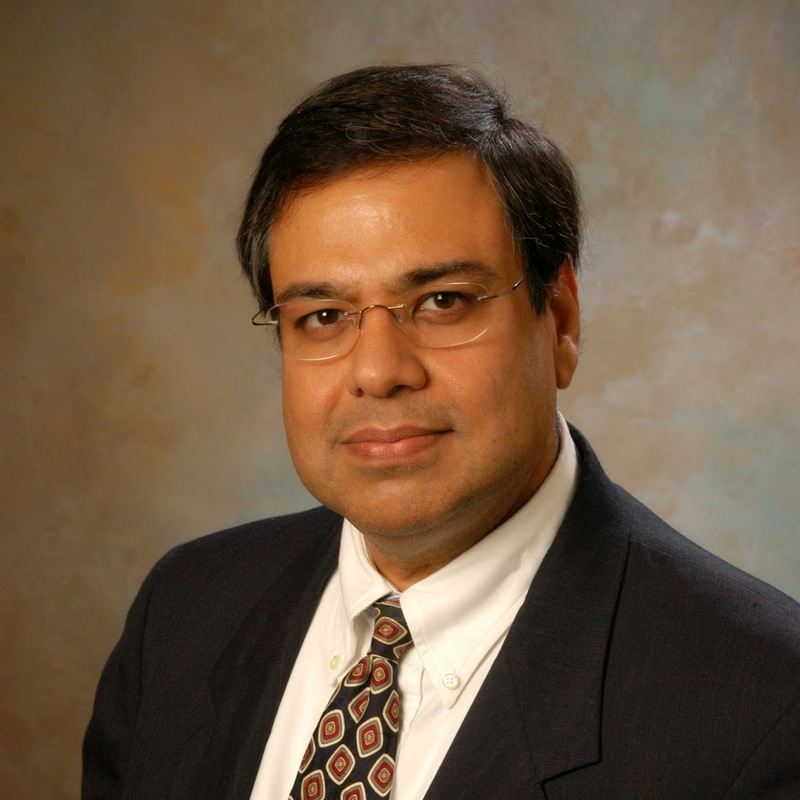 Rajiv Dewan ’84S (MS), ’87S (PhD) is rejoining the faculty full time as professor of computers and information systems. Dewan’s first faculty appointment was at Northwestern’s Kellogg Graduate School of Management. For the last eight years, he has provided Simon invaluable service as an administrator, including as the director of our doctoral program, faculty director of master’s programs, and senior associate dean of faculty and research. In addition, he has played key roles in Simon’s relaunching of an undergraduate business program. In making the announcement, Dean Ainslie invited all to thank Rajiv for what he has already done and will continue to do for our School. Dean Ainslie also announced that Ron Hansen will continue to serve as senior associate dean for program development. In that role, Hansen is responsible for Simon’s international graduate partnerships, an increasingly important role in the University’s undergraduate business program, as well as the Technical Entrepreneurship And Management (TEAM) MS program. “Ron Hansen provides an important perspective that is grounded in both his academic achievements and his many years of service with Simon,” Ainslie says. “His counsel will be invaluable as we prepare our School for new challenges and opportunities.” In addition to his role as senior associate dean, Hansen also serves as area coordinator for the concentrations of Business Environment and Public Policy and International Management. Simon welcomes five distinguished scholars and a notable entrepreneur-in-residence. 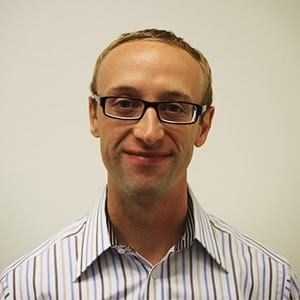 Avery Haviv, assistant professor, marketing, is completing his PhD in quantitative marketing at the University of Toronto (Rotman School of Management). His research interest is in the development of methodology and the application of dynamic models to solve marketing problems. Haviv earned a bachelor of mathematics (honors statistics) from the University of Waterloo and a master of science (honors statistics) from the University of Toronto. He has also worked as a consultant market research. 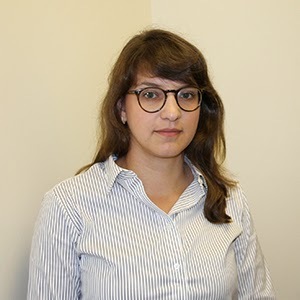 Olga Itenberg, assistant professor, finance, received her doctoral degree in economics from the University of Pennsylvania (Wharton). Her research interests lie in macroeconomics, innovation, and corporate finance. 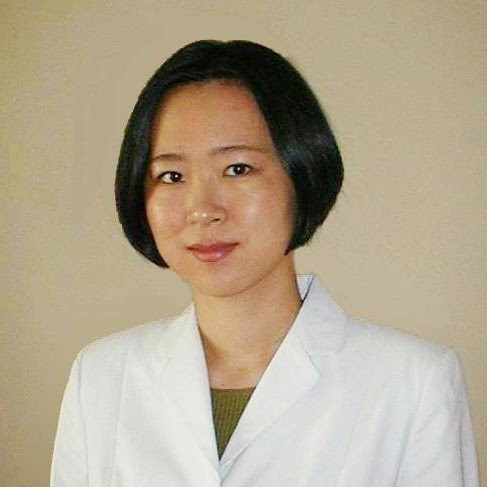 In addition to her PhD from the University of Pennsylvania, Itenberg holds an MBA with a concentration in economic theory from New York University (Stern School of Business). 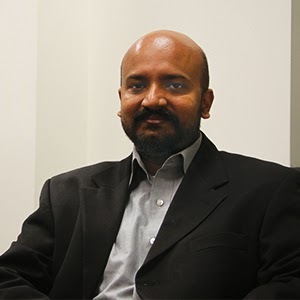 Sudarshan Jayaraman, associate professor, accounting, previously served as assistant professor of accounting at Washington University, St. Louis (Olin Business School). Jayamaran was a senior analyst at HDFC Bank in Mumbai, India. His research interests focus on the interaction between financial reporting and informed trading and tradeoffs between internal and external monitoring mechanisms. He earned his PhD from the University of North Carolina, Chapel Hill (Kenan-Flagler) and an MBA from Bentley University, Waltham, MA. 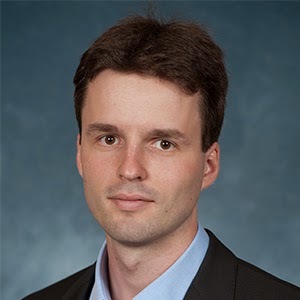 Dmitry Orlov, assistant professor, finance, has research interests in several areas of finance and economics, including employee performance evaluations, markets for repurchase agreements, and coherent risk measurement. He also studies market microstructure models and general equilibrium asset pricing. Orlov’s research has been published in the Journal of Finance and The Journal of Mathematical Finance. Prior to earning a PhD from the Stanford Graduate School of Business, he received a degree in mathematics from Moscow State University and a degree in data analysis from the Moscow Institute of Physics and Technology. Bryce Schonberger, assistant professor, accounting, received his doctoral degree in accounting from the University of Southern California. His research interests lie in financial accounting, with a focus on asset impairments, option markets, and earnings quality. He holds a CPA license in Colorado following work experience at PricewaterhouseCoopers in its audit support practice. Gregg Steinberg is joining the University of Rochester Center for Entrepreneurship as entrepreneur-in-residence. A longtime Simon supporter, Steinberg will work with faculty, staff, and entrepreneurs to help develop and support the creation of business plans and new companies launched by students. He will also serve as an advisor to the Simon School Venture Capital Fund. Steinberg has been involved in a number of industries from startups to mature companies, both public and private. He has directed and advised a health care services organization, founded a strategy and operations advisory firm, and served as an investor and advisor to early- to mid-stage companies in a variety of industries. A member of the Simon Executive Advisory Committee, he holds an MBA from the Thunderbird School of Global Management and a BS in business administration from the University of Arizona. The Simon Business School is receiving seven major gifts totaling nearly $5 million in support of The Meliora Challenge: The Campaign for the University of Rochester. These gifts will support student scholarships, curricular enhancements, and a named professorship. The gifts are the School’s latest contributions to the University’s record-setting campaign and help bring Simon’s total dollars raised to nearly $70 million. Ronald H. Fielding ’73 (MA), ’76S (MBA) has pledged $2.5 million to support student scholarships in addition to his $7 million in prior giving. Fielding is the retired chief strategist and senior vice president of the Rochester division of OppenheimerFunds Inc., one of the nation’s largest asset management companies. He managed its Rochester municipal bond funds and their predecessors for more than 25 years. A strong advocate of scholarships, he established the Ronald H. Fielding Scholarship Fund in 1996 to provide support for Simon students. Fielding is a member of the Simon National Council and Executive Advisory Committee. Martin S. Lacoff ’71S (MBA), chairman and co-founder of Belpointe, and Executive Advisory Committee member, committed $1.3 million to establish an endowed professorship in honor of former Simon Business School professor Michael C. Jensen. This adds to a previous gift from Lacoff, which established the LaClare Professor of Business Administration and Finance, the first faculty endowment at Simon in 1984. The Michael C. Jensen Professorship will support a leading faculty member at the School. 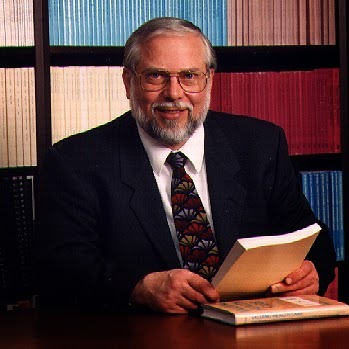 Jensen, who was the first LaClare Professor, had a lasting impact on Lacoff, so the professorship will also recognize the long-run effect that instruction and research have on Simon students. David Reh ’67S (MBA), managing partner at Ravenwood Golf Club in Victor, NY, and former president at Gorbel Inc., is adding $250,000 to prior giving in support of the Sue and David Reh Scholarship Fund, awarded to outstanding full-time MBA students who have demonstrated capacity for success in the MBA program. Reh is a member of the Simon National Council and the Executive Advisory Committee. Gregory S. Hayt ’92S (MS), managing director and chief risk officer for Paloma Partners, a hedge fund based in Greenwich, CT, is committing $125,000 in scholarship support through the Annual Fund. Prior to joining Paloma, Hayt served as senior consultant for Rutter Associates. Previously, he was an executive director in CIBC World Markets and vice president, risk management research, at Chase Manhattan Bank. James N. Doyle Jr. is adding to prior giving with $116,000 to establish the James N. Doyle Jr. Fellowship Fund for Christian Entrepreneurship. The Doyle fellows will be recruited from Christian colleges and universities. Special consideration will be given to students demonstrating an interest in service to others and who exhibit a commitment to their undergraduate institution’s higher ideals and missions. David Khani ’93S (MBA), CFO of CONSOL Energy Inc., the Pittsburgh-based natural gas and coal producer, is pledging $100,000 to enhance the Center for Innovative Teaching and Technology by creating an open, collaborative space with the latest technology to enhance classroom instruction, club activities, research, training sessions, and individual and team study. Khani is a member of the Executive Advisory Committee. J. Michael Smith, founder and CEO of CABOT Group, is committing $100,000 to establish The CABOT Group Lecture Series in Real Estate. The intention of the endowed fund is to bring prominent executives to Simon and the University to share experiences, professional lessons, and career guidance with students. Funds will also support small-group sessions with students and alumni interested in working in commercial real estate. David Tilson has been named associate dean of the Full-Time MBA program. 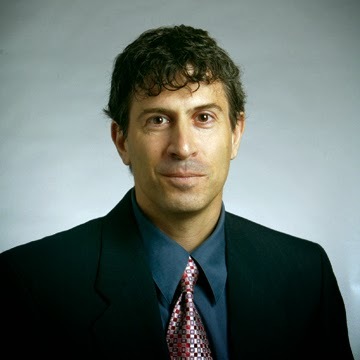 Tilson teaches business systems consulting, information systems, and analytics courses. 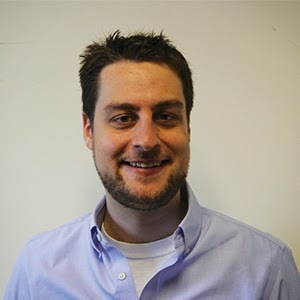 A trusted mentor, he also works with many student teams on consulting projects in the Rochester region. The University of Rochester student-run Ovitz Corp. won the grand prize of $50,000 during the Rochester Regional Business Plan Competition. Ovitz makes a portable hand-held device called an EyeProfiler to determine an accurate prescription for corrective lenses. provided a great opportunity for students to toughen up their interviewing and networking skills with real-time feedback from business professionals in a variety of industries. to keep learning and retain their curiosity. The Simon Business School held Commencement ceremonies on Sunday, June 8, 2014, in Kodak Hall at Eastman Theatre. Over 500 students received graduate degrees, bringing the number of Simon Business School alumni to nearly 15,000. 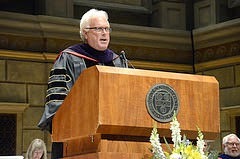 University President Joel Seligman presided and former Dean Mark Zupan delivered his last address as dean. Colleen Wegman ’00S (MBA), president of Wegmans Food Markets, received the Simon Business School Distinguished Alumnus Award. Wegmans Food Markets Inc., an 83-store supermarket chain headquartered in Rochester, has built an international reputation for its overall excellence in quality, customer service, and variety. For 17 consecutive years, it has been named to Fortune magazine’s list of the “100 Best Companies to Work for in America,” including being ranked the top company on this list in 2005. In that same year, her grandfather, the late Robert B. Wegman, named her president of the company. In 2007, she was named to the Food Marketing Institute Board of Directors. Wegman is also active in the United Way of Greater Rochester and currently serves as chair of its Board of Directors. Ronald Fielding ’73 (MA), ’76S (MBA) received the Dean’s Medal. Fielding is the retired chief strategist and senior vice president of the Rochester division of OppenheimerFunds Inc. An example of brainpower and ambition, Fielding began his first job—a paper route—at age seven. At age 15, he won a scholarship to the Putney School in Vermont, which he followed with an undergraduate degree from St. John’s College in Annapolis, Maryland and an MBA from Simon. Fielding is a member of the George Eastman Circle, the University’s leadership annual giving society. of the Executive MBA program; 251 graduates who received MS degrees (79 MS in business administration, 104 MS in finance, 32 MS in accountancy, 25 MS Finance in New York City, and 15 MS in Management in New York City); and five graduates were recognized for earning the PhD in business administration. Across all programs, 49 countries were represented. 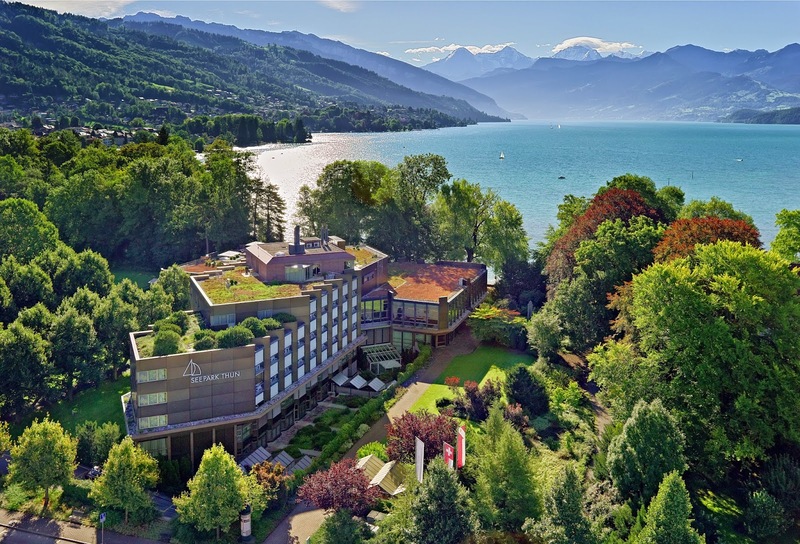 In addition, the Simon Business School’s Executive MBA program in Bern, Switzerland, graduated 22 students. Aspiring student entrepreneurs at the University of Rochester presented their business models to a panel of judges during the eighth annual Mark Ain Business Model Competition on May 13, 2014. 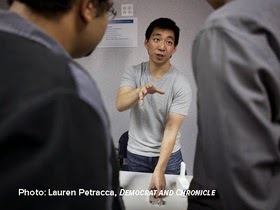 Taking first place was the SmartDialysis team, which produced a nanomembrane, technology-based portable hemodialysis unit that could significantly improve quality of life for over 600,000 end-stage renal disease patients in the United States and revolutionize the $8 billion hemodialysis equipment industry. MS in Finance students recently traveled to New York City to learn more about career developments in their field. The students had the opportunity to meet with over 50 alums and explore the sights and sounds of the world’s financial capital. Simon is recognizing three faculty members for their outstanding scholarly accomplishments through their recent installation in named professorships. Ron Kaniel became the inaugural Jay S. and Jeanne P. Benet Professor of Finance at an installation ceremony in New York City on May 7, 2014. Kaniel’s research interests are in asset pricing, financial intermediation with a focus on portfolio delegation, and investments. His scholarship has enhanced the understanding of how incentives affect fund investment decisions and security prices, the information contained in trading volume for predicting returns, and how herd behavior in financial markets can be rational. Kaniel is chair of the PhD committee. Robert Novy-Marx became the inaugural Lori and Alan S. Zekelman Professor of Business Administration on June 6, 2014. Novy-Marx’s research on the government pensions crisis with co-author Joshua Rauh of Stanford University has firmly established him as a leading national voice on the issue, culminating in testimony before Congress. Among his many awards, Novy-Marx earned the 2012 and 2013 Fama-DFA Prize for the best capital markets/asset pricing paper in the Journal of Financial Economics; the 2012 Whitebox Advisors Selected Research Prize for the Best Financial Research of 2011 (second place); the 2012 AQR Insight Award Distinguished Paper Prize; the 2011 Smith-Breeden Prize for the best capital markets paper in the Journal of Finance; and the 2011 Spängler IQAM Prize for the best paper in the Review of Finance. Simon professors David and Vera Tilson joined University of Rochester Medical Center pharmacy director Curtis Haas on WHAM 1180’s Eyes on the Future radio show to discuss their research on streamlining pharmacy processes to reduce waste. Their study examining how pharmacies prepare and dispense medication could potentially improve operations for thousands of hospitals nationwide. Simon professor Gregory Dobson coauthored the paper with the other researchers but was unavailable for the program. For more on the study, see the spring 2014 issue of Simon Business. More than 250 people turned out to hear from headliners Sallie Krawcheck, owner of 85Broads and former Bank of America senior executive; Robert Wilmers, chairman and CEO of M&T Bank; Rob Sands, president and CEO of Constellation Brands; and John Stossel, host of Fox Business’ Stossel, among several others. Stossel discussed the failure of “big government” to solve America’s economic problems, while Krawcheck shared her advice for succeeding in business. Krawcheck urged the audience to listen to their instincts when it comes to ethical or moral dilemmas. Sands received the Executive of the Year Award for his lifelong achievement as an outstanding business leader; for his philanthropic commitment to advancing education, health care, and arts and culture in the Rochester region; and for his strategic vision and innovation at the helm of Constellation. Simon Women in Business (SWiB) presented a lecture from HSN COO and CFO Judy Schmeling on April 7, 2014, as part of the Kalmbach Lecture Series. Schmeling oversees HSN’s finance, information technology, customer care, facilities, supply chain and logistics, corporate strategy, mergers and acquisitions, and affiliate relations. The Simon Business School Executive MBA (EMBA) program, the second oldest in the world among top-tier business schools, is enhancing its academic and program offerings to meet the needs of today’s business leaders. Starting in September 2014, Simon will offer an innovative, hands-on leadership module and an online component to allow busy executives to attend classes on campus just once a month. The new yearlong leadership module provides a framework for personal leadership and expands professional development offerings, and its modular format allows for a seamless integration of our leadership content with the rest of the academic schedule. The online component engages the right use of technology to maximize students’ time management, with fewer hours away from work. The module complements an existing yearlong business plan course and offers global management electives that provide immersion and understanding of macroeconomic trends, particularly in Europe and Asia. 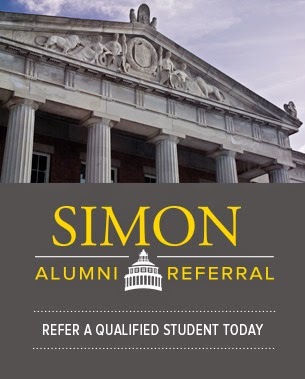 Students develop a robust network in Rochester and beyond through Simon’s EMBA program in partnership with the University of Bern (Switzerland) and MS in Finance and MS in Management programs in New York City. “Our Executive MBA program is designed for those ready to lead their organizations, and with these enhancements, we are providing a comprehensive set of skills: analytical, strategic, and interpersonal,” says Carin L. Cole ’99S (MBA), assistant dean for executive and professional programs. Simon Executive Programs, in partnership with Rochester-Bern, is teaming up with global wealth manager UBS AG to launch a Wealth Management master’s program for experienced UBS client advisors. The two-year program prepares participants to navigate the changing conditions in the industry. The program is targeted at UBS Wealth Management experienced client advisors worldwide, with the exception of those in the United States. The two-year program combines academic content with practical content from UBS speakers; in addition, there are lectures delivered by select, internationally recognized practitioners and researchers. Between courses, participants apply the material they have learned in projects relevant to their own areas of business. Participants attend four course blocks, as well as a further series of individual courses covering not only financial markets, investment management, strategy, and leadership, but also ethics, corporate finance, behavioral finance, and risk management. Graduates earn a master of science in wealth management from the Simon Business School, as well as a master of advanced studies in finance from the University of Bern. A thorough evaluation process led UBS to select Rochester-Bern for both its executive education experience and its requisite network of expertise, stemming from its cooperation with the Simon Business School as well as the University of Bern and the Swiss Finance Institute. “It is both interesting and challenging to support top client advisors at UBS with an education program that will enable them to tackle market challenges in the best interest of clients, employees, and society,” notes Claudio Loderer ’80S (MS), ’83S (PhD), professor of finance, head of the Institut für Finanzmanagement at the University of Bern, and academic director of Rochester-Bern Executive Programs. 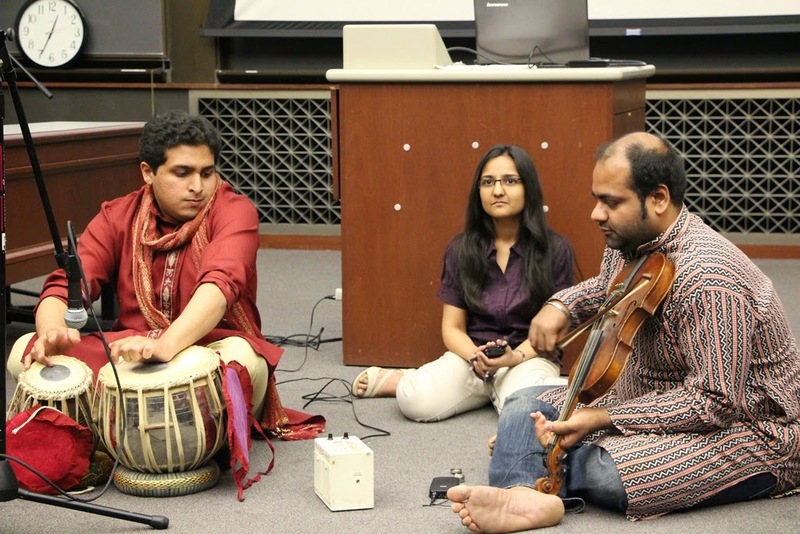 In May, the SimonUnited club held a special Broaden Your Horizons event to showcase traditional Indian dances, as well as live music and authentic Indian cuisine. SimonUnited’s mission is to encourage Simon students to further their cultural awareness and attain a sense of tolerance and understanding.